As with most birds, sparrow bird control is necessary if you want to preserve your vehicles paint and finish, somehow birds have an affinity for getting their droppings right on my car even if I leave it out in the driveway for a few minutes. 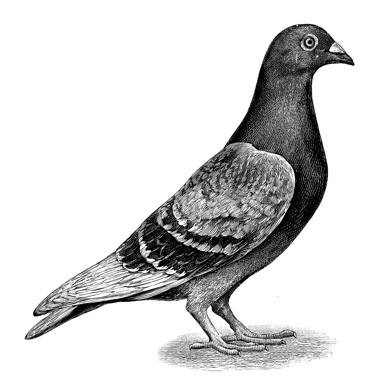 These droppings, as you know, can carry many diseases as well so it's best to pest control the sparrow before it grows into a huge, uncontrollable flock. 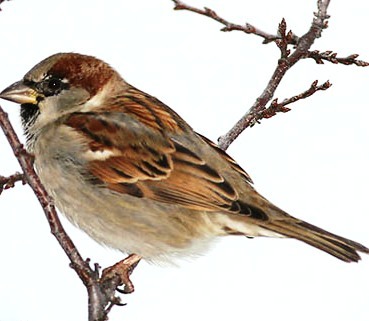 The sparrow is another typical, everyday bird every one of us has ran into at one point or another. The main reason for this is due to the sparrow's prolific abilities, it's very easy for those bird to have as many as 4 families per year! This little guy loves to hang around bird feeders and anywhere he can find grain. Diet: buds, berries, nuts, insects, seeds, etc. Just as with most birds, the approach is simple and straightforward. Here are the 3 best options you have help you get rid of this bird. 1. Scare tactics or visual distractions. Visual distractions, although moderately effective, can still get the job done. Try to use plastic predators like the hawk, owls or simply use a scarecrow. Many of these can be found at your local hardware store. 2. Repellents and Mechanical Controls. This is a very effective method, the gel can be put inside a caulking gun for application, keep in mind each tube will cover about 10 linear feet, not to mention the cost effective benefits. With the emergence of technology in the 21st century this option should not surprise you and scientist are getting better and better at developing, not only cost effective technologies, but highly effective bird controlling products. In the near future I will be purchasing some of these products, reviewing them, and recommending my choices and why I picked them, so make sure you come back for those updates. This option might make your home look like a bit of a prison but is a solid option and it's not all that expensive, consult with your wife first! These coils look a bit like slinky but will take care of most birds, not just the hordes of sparrows hanging around your property. D. Bird Spikes And Other Projections. These have a porcupine shape to them but I'm sure you won't mind that especially when you realize the spikes will help you control most birds that even pass through your neighborhood. 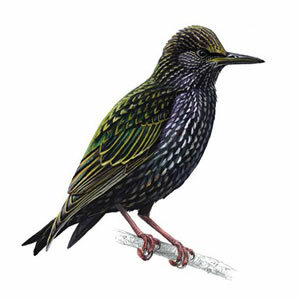 The spikes will certainly make very incomparable for any bird to try to land on your property, and since birds will see them in your property, it is very likely they will assume they're "all" over your property. Better yet, the spikes don't even have to be made of steel, plastic ones will work just fine. This option may sound bit intimidating but a highly effective ROI might make you want to give it a chance. Ask around, your neighbor might know somebody who could do this job for cheap, and since it's really not that hard you might just want give it a try yourself and truly do your own pest control! If done right, trapping can be just as effective as any method, if not more. We have been very successful in trapping all kinds of birds by simply baiting and strategically placing the traps as well as taking our time with them. Be patient with this option, it will pay off. Nowadays there is a lot of companies out there producing a number of poison grains and other chemicals in order to make it easier to do bird control. But none of these are as effective as all the options outlined above, or even cheap. 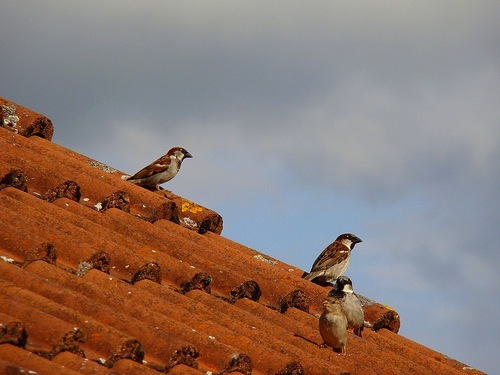 Even if you wanted to use chemicals to control the sparrows hanging around your house you wouldn't be able to easily acquire them since they are sold only to licensed contractors.